Widdison Racing Pty Ltd :: As Bad As Tyson Scores A Wodonga Win Beautifully Ridden By Chelsea Macfarlane. As Bad As Tyson Scores A Wodonga Win Beautifully Ridden By Chelsea Macfarlane. 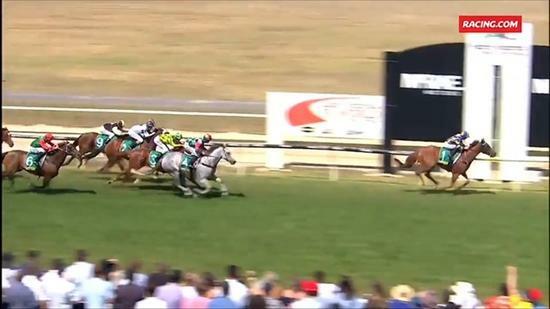 A great front running ride by Chelsea MacFarlane landed the connections of As Bad As Tyson the honours in the BM70 handicap over 1300m at Wodonga when competing in the Nautin Development Group Dustan Sprint. Taken on early by Bella Sorellastra, As Bad As Tyson shook off that runner and under vigourous riding in the straight by Chelsea saw As Bad As Tyson career well in advance of their rivals to score by 2.75 lengths in a race time of 1:17.48 racing on a good three.